Marquis Hill, not yet 30 and based in both his hometown of Chicago and in New York, is one of the most promising jazz musicians to gain a national reputation in recent memory. 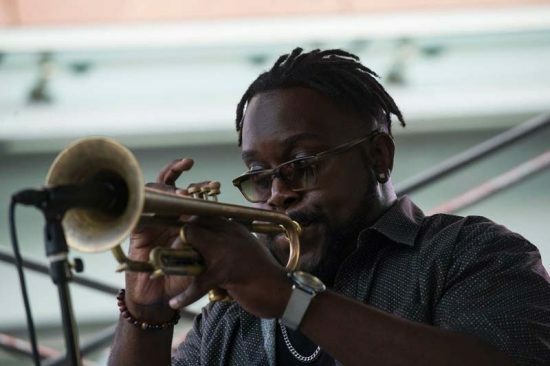 He’s a remarkably gifted trumpeter, with a technical command that can evoke heroes like Donald Byrd and Freddie Hubbard without getting too close to the source, and a composer-bandleader whose music and working group, the Blacktet, boast a comprehensive vision. 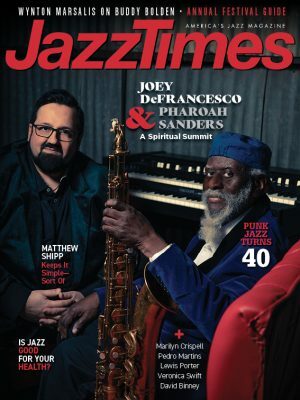 Hill received first place at the 2014 Thelonious Monk International Jazz Trumpet Competition, and this Concord Jazz debut is the result of a generous prize package. And although it follows a few fine if modestly distributed recordings, it comes off like a definitive introduction. Hill’s previous albums featured original music, but this one is filled with standards and not-so-standards-an old strategy for a hotshot player making a big entrance, and one that Hill revises by using his Blacktet instead of a prestige rhythm section. Of course, nothing better betrays the true nature of musicianship than a standard tune. With alto saxophonist Christopher McBride, vibraphonist Justin Thomas, bassist Joshua Ramos and drummer Makaya McCraven, a rising progressive-jazz star in his own right, Hill melds live laptop-sounding rhythms with taut, contemporary postbop fire on Gigi Gryce’s “Minority” and Horace Silver’s “Moon Rays.” “Maiden Voyage” is turned into atmosphere, and “Straight, No Chaser” sidesteps the beat-making influence for hard-core swing. A closing take on Charlie Chaplin’s “Smile,” featuring only Hill, Ramos and guest percussionist Juan Pastor on cajón, is delightfully candid, like eavesdropping on a festival greenroom.